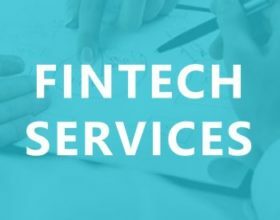 On November 5 2015 the securities regulatory authorities in Manitoba, Ontario, Quebec, New Brunswick and Nova Scotia published, in final form, Multilateral Instrument (MI) 45-108 – Crowdfunding. The instrument includes a crowdfunding prospectus exemption and a registration framework for funding portals to allow start-up and early-stage companies to raise capital. The final form of the crowdfunding exemption resulted from consultations following publication of proposed MI 45-108 on March 20 2014. The crowdfunding regime under MI 45-108 will coexist with the start-up crowdfunding exemptions implemented by way of harmonised blanket orders in British Columbia, Saskatchewan, Manitoba, Quebec, New Brunswick and Nova Scotia. (1) As a result, two different crowdfunding regimes in Canada will apply to varying groups of issuer, some of which will overlap. Promoters of crowdfunding may be disappointed by the coexistence of two different crowdfunding regimes, given the Canadian consensus on the need for harmonised private placement rules. Provided that all necessary ministerial approvals are obtained, MI 45-108 will come into force in the participating jurisdictions on January 25 2016. The Financial and Consumer Affairs Authority of Saskatchewan is to republish MI 45-108 for a 60-day comment period. 'Crowdfunding' generally refers to a method of funding a project or venture through small amounts of money raised from a large number of people, typically through an internet portal acting as intermediary. The securities-based model of crowdfunding is the practice of the crowd investing in an issuer in exchange for the issuer's securities, which are often equity securities but may include other types of securities, including debt securities. The objective of the crowdfunding regime under MI 45-108 is to enable businesses to raise capital online, through a registered funding portal, while maintaining an appropriate level of investor protection and regulatory oversight. 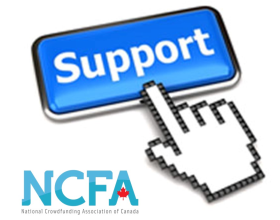 The crowdfunding exemption is available to reporting issuers and non-reporting issuers that are incorporated or organised under the laws of Canada or a jurisdiction of Canada. To be an eligible crowdfunding issuer, MI 45-108 permits the principal operating subsidiary of an issuer to be incorporated or organised under the laws of Canada, a jurisdiction of Canada, the laws of the United States or a jurisdiction of the United States. flow-through shares under the Income Tax Act. In the participating jurisdictions, a purchaser that is not an accredited investor is subject to an investment limit of C$2,500 per distribution, and in Ontario such purchaser is also subject to an annual investment limit of C$10,000 for all distributions made in reliance on the crowdfunding exemption in the same calendar year. In all participating jurisdictions, an accredited investor is subject to an investment limit of C$25,000 per distribution, and in Ontario an accredited investor is also subject to an annual investment limit of C$50,000 for all distributions made in reliance on the crowdfunding exemption in the same calendar year. In Ontario, an investor that is a 'permitted client' (as defined in National Instrument 31-103 – Registration Requirements, Exemptions and Ongoing Registrant Obligations) is not subject to an investment limit. Issuers are not permitted to raise more than C$1.5 million under the crowdfunding exemption within the 12-month period ending on the last day of the distribution period. Issuers must prepare an offering document, based on the form prescribed in MI 45-108, that contains certain information about the issuer, the issuer's business and management, the distribution and the funding portal, and informs potential investors of their rights. An issuer cannot, directly or indirectly, advertise a distribution or solicit purchasers under the crowdfunding exemption. However, the issuer may inform purchasers that it proposes to distribute securities under the crowdfunding exemption and may refer purchasers to the funding portal facilitating the distribution. Issuers are subject to liability for misrepresentations or untrue statements of material facts contained in the crowdfunding offering document and other permitted materials, and investors are provided with a related right of action. a change of control of the issuer. Reporting issuers must continue to comply with their disclosure requirements, under National Instrument 51-102 – Continuous Disclosure Obligations. Investors must complete a risk acknowledgment form requiring them to confirm positively that they have read and understood the risk warnings and information in the crowdfunding offering document before they may enter into an agreement to purchase securities. unless the sale is made under another available prospectus exemption. An eligible crowdfunding issuer may distribute securities under other prospectus exemptions (eg, the accredited-investor exemption or the offering-memorandum exemption) during the distribution period. Securities distributed under other prospectus exemptions need not have the same price, terms and conditions as those distributed under the crowdfunding exemption. Issuers may distribute securities only through a single funding portal that is registered as an investment dealer, exempt market dealer or restricted dealer as outlined in MI 45-108.
denying an issuer access to the funding portal in certain circumstances. Additional requirements are imposed on restricted dealer funding portals. In Ontario, a restricted dealer funding portal is only allowed to distribute securities under the crowdfunding exemption, as the start-up exemption is not currently available in this jurisdiction. In participating jurisdictions other than Ontario, this type of funding portal will be permitted to act as an intermediary in connection with securities offerings under both exemptions. 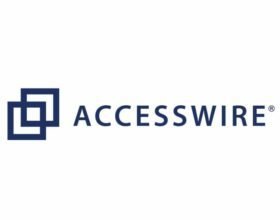 Funding portals are prohibited from offering securities of a related issuer and may not directly or indirectly advertise a distribution or solicit purchasers under the crowdfunding exemption. 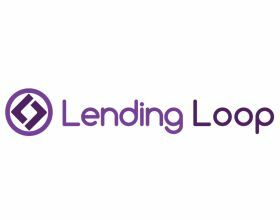 Issuers may post the offering document and other permitted materials solely on that funding portal's online platform. On October 30 2015 the US Securities and Exchange Commission (SEC) adopted the final rules to permit equity crowdfunding in the United States. The SEC adopted Regulation Crowdfunding under the Securities Act 1933 and the Securities Exchange Act 1934 to implement the requirements of Title III of the Jumpstart Our Business Start-ups Act. Regulation Crowdfunding also provides a framework for the regulation of registered funding portals and broker dealers that issuers are required to use as intermediaries in reliance on the crowdfunding exemption. Non-US companies will not be eligible to use the Regulation Crowdfunding exemption. The final rules will be effective 180 days after publication in the Federal Register. The crowdfunding regime under MI 45-108 encompasses many of the investor protection elements of the crowdfunding exemption under Regulation Crowdfunding. The table below compares the key requirements under both MI 45-108 and Regulation Crowdfunding. Investment limits Individual investors are subject to an investment limit of C$2,500 per distribution (in Ontario, such purchasers are also subject to an annual investment limit of C$10,000 for all distributions made in reliance on the crowdfunding exemption). if both their annual income and net worth are equal to or more than US$100,000, then 10% of the lesser of their annual income or net worth. During the 12-month period, the aggregate amount of securities sold to an investor through all crowdfunding offerings may not exceed US$100,000. Issuer group limit An issuer is permitted to raise a maximum aggregate amount of C$1.5 million through crowdfunding offerings in a 12-month period. An issuer is permitted to raise a maximum aggregate amount of US$1 million through crowdfunding offerings in a 12-month period. in New Brunswick, Nova Scotia and Ontario, a notice of a discontinuation of the issuer's business, a change in the issuer's industry or a change of control of the issuer. any material changes or updates on the issuer's progress towards reaching the target offering amount. Resale restrictions Securities purchased in a crowdfunding transaction generally cannot be resold for four months. Securities purchased in a crowdfunding transaction generally cannot be resold for one year. provide communication channels to permit discussions about offerings on the platform and facilitate the offer and sale of crowdfunded securities. holding, possessing or handling investor funds or securities.